Argentina is a country that has a diversified and open economy, with plenty of exciting business prospects and trade opportunities. 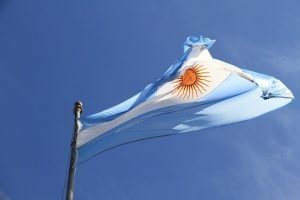 There are many reasons why more people are looking to form a company in Argentina, in sectors such as the Renewable Energy Sector or the agricultural sector. A key factor is the fact that the government is actively encouraging Foreign Direct Investment (FDI) through attractive legal frameworks, beneficial laws and agencies such as the Argentina Investment and Trade Promotion Agency. 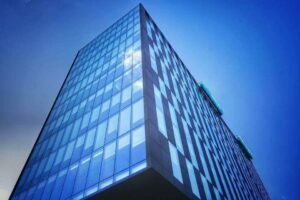 There are several different types of legal entities that can be formed in Argentina, however, the majority of companies that are set up are Simplified Share Companies (Sociedad por Acciones Simplificada, S.A.S.). An S.A.S. has one or more shareholders (individuals or companies) whose liabilities are limited to their capital contribution. Forming this type of company means that a range of business activities can be recorded even though only a few of them will be executed. It is also important to bear in mind that an S.A.S. has the full legal capacity (with exceptions) to perform any legal act in the country or abroad, perform all lawful activity, acquire rights and incur obligations. This type of company cannot, however, make public offers of its shares or debentures, carry out capitalisation or in any other way require money or securities from the public with promises of benefits or future benefits and finally exploiting public concessions or services. Incorporating a company in Argentina can be rather complex at times but, as long as you are receiving the right advice and support from a local legal partner, as well as following the necessary requirements stated below, then incorporating a company in Argentina is not that challenging. Read on to understand more about company incorporation process in Argentina. In order to create the company name, a legal name search must be conducted, but please note that it is not always possible to get your 1st choice of name preference. What is the minimum amount of shareholders? Is a fiscal address and legal representation required? How long does the process take (including the opening of a corporate bank account)? – Between 8 and 12 weeks once we have received all the required documentation. To form an S.A.S. in Argentina, at least one shareholder is required. When forming a legal entity, the amount of capital subscribed by the shareholders of the company is called the company share capital. When a company is in need of bank loans, is working in joint ventures or bidding on government contracts, the share capital is very important. The value of the share capital can affect the possibility of being granted loans. In other words, a company that has a high share capital has a greater likelihood of being granted a substantial loan compared to a company that has a low share capital. The size of the share capital can be changed at any time, but when increasing or decreasing the amount, it should still reflect the company’s size, ie. it should be a sensible number. Please note that the minimum share capital for an S.A.S. is the equivalent to (2) minimum wages. If the amount of company share capital is the minimum required, then the Public Registry of Commerce can speed up the approval of the S.A.S. Please note that if you looking to quickly incorporate a company then you should form it with the minimum required share capital and increase the amount later – a local law firm can assist with this capital increase. This is a minimum statutory requirement for legal entities in Argentina, regardless of the type of entity, and is registered with the Argentine tax authorities. The fiscal/legal address provided will be the company’s registered address, and therefore will be used for all official communication such as mailing and tax purposes. This is a group of people whose role is to jointly oversee the company’s activities. The legal requirement in Argentina is a minimum number of two board members and a maximum number of five. The board members may also act as the legal representatives of the company – they must be natural persons (Argentine nationals or foreigners) however, at least one of them should be resident in Argentina. Only after a person has obtained a local tax ID and a fiscal registration, can they act as a board director/legal representative, enabling them to work with the local administration. Please take note that the role of a legal representative is to be the signatory for every operational activity of the company, acting as the company’s “legal face”. Furthermore, they are legally responsible for the company’s operations and standing – ie. they must ensure that the company is engaging in good business conduct. The legal representative, therefore, personally undertakes certain legal liabilities – it is a position of high importance and responsibility. All legal entities in Argentina must file monthly tax declarations before the national tax authority – Administración Federal de Ingresos Públicos (AFIP). Failure to do so, or declaring taxes late can result in penalties. Should you wish to ensure that you remain in good standing with AFIP, it is recommended to have your tax declarations completed by a local group who have experience working with taxes in Argentina. Often, this group can double up as your local accountant. Argentina has a huge variety of new opportunities for companies looking to expand or entrepreneurs interested in company formation in Latin America. It is undoubtedly an attractive jurisdiction to do business in, with a wide range of growing business sectors. If you are interested in forming an S.A.S. in Argentina and would like more tailored support and guidance with the incorporation process, then please do not hesitate to get in touch with our dedicated team of professionals and Biz Latin Hub Argentina’s bi-lingual Country Manager, Javier Alegre, at [email protected].